The highly anticipated Wilson R100 000 Challenge finished this past Sunday, 22nd April 2018. The tournament had two sections, namely adult men’s and women’s and u/14 boys and girls. 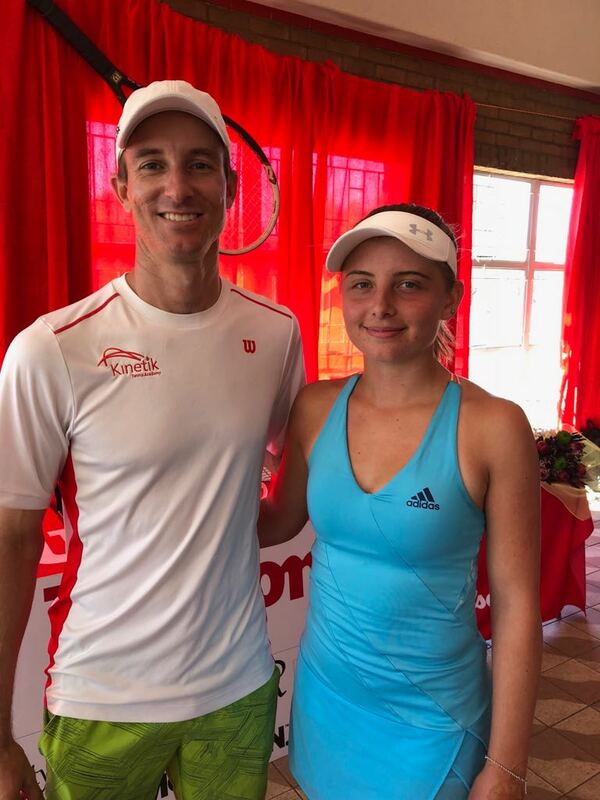 The Kinetik Tennis Academy had players in two of the four singles finals on Sunday, namely Samantha Muller from the adult women’s and Benjamin Scott from the U/14 Boys who fought hard to reach the top. Through a tough battle, Lleyton Cronje from Gauteng North and Jessica Kahts from Gauteng Central came out at the top of this challenge. In the U/14 challenge, Lwazi Ngwenya of Gauteng Central and Kagiso Ledwaba of Gauteng North won the boys and girls singles titles respectively. Top seeded Cronje won the final battle against seventh seeded Mehuli Sibanda from Zimbabwe, winning 4-6 6-4 6-2 in two and a half hours. 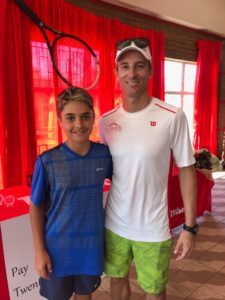 Cronje received R20 000.00 for his victory, which he plans to put towards his tennis travel expenses. The final match within the women’s sections featured Jessica Kahts and Samantha Muller, where Kahts beat unseeded Muller 6-3 7-5 in their first-ever meeting. In the boys U/14 singles, third seeded Ngwenya of Greenside High School in Johannesburg beat fourth seed, Benjamin Scott 6-2 6-4 to lift the title. Kahts was delighted to have won the title as it was the second tournament she has played in two and a half years since returning back to South Africa after completing her USA NCCA Scholarship in Texas State University. Despite the loss of our fellow members at Kinetik Tennis Academy, these players still gain a lesson and experience through the battle and determination of the game. We are very proud of their efforts in this challenge and will continue to help and support them reach the top, and of course, their dreams and passion of the game. This entry was posted in Articles, Newsletters. Bookmark the permalink. ← Teddy Tennis hits Jozi!